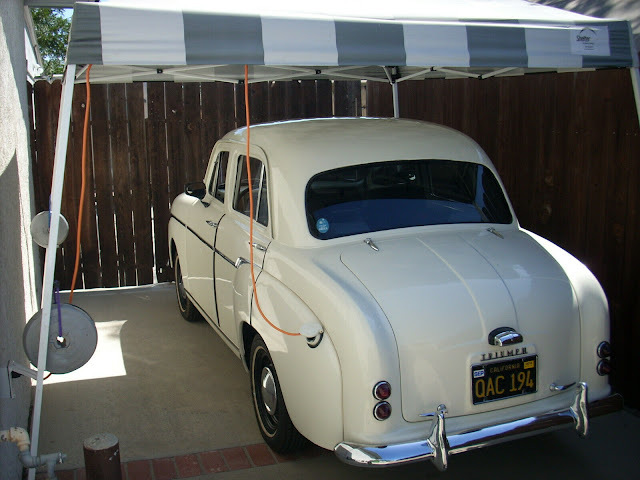 The Buick Super was a pre-war full sized Buick sedan that was available with a straight-8 engine. The Fireball DynaFlash straight-8 was the pinnacle of motoring refinement in its day and made 107 horsepower from its 4.1 liters when new. 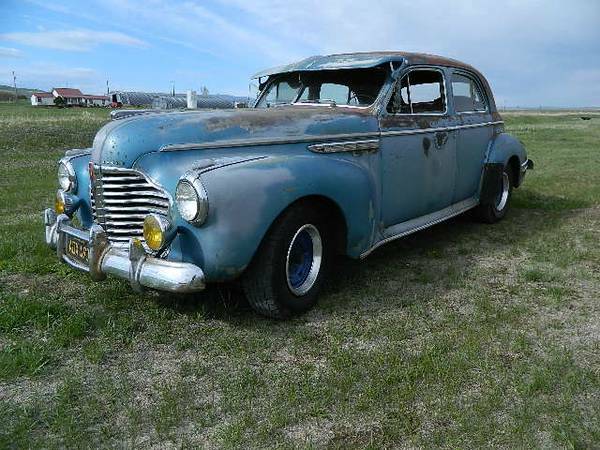 Find this 1941 Buick Super with straight-8 power for sale in Ringling, MT for $4,500 via craigslist. Tip from Scooter. 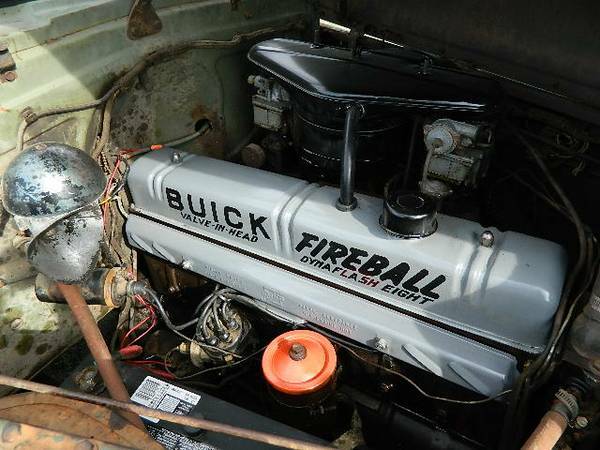 This Buick Super Model 50 is a bit of a barn find, or "patina rod," but it looks mostly complete and is equipped with twin carbs on the Dynaflash straight-8. Most of the car looks decrepit, but the engine has recently seen some kind of service or rebuild since it looks freshly painted and detailed. How could you not love eight honkin' cast iron cylinders, all in a row? ~ i'm having trouble understanding why some one does that level of detail to the motor itself but does nothing to the engine compartment. I thought the same thing. For someone working on a full restoration of any '41-'46 that engine is worth the price of the entire car!! Too bad it's gone. Fixed the state abbreviation for posterity's sake.